For the ultimate in OH&S vehicle solutions, Hummingbird Electronics offer a range of digital inclinometers and dual axis inclinometer sensors providing high accuracy and GPS trackable reporting for industrial teams. 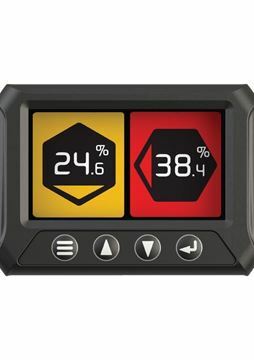 The Hummingbird Active Dual Axis Inclinometer including 0.1 degree standard sensor is a visible pitch and roll readout for operators with configurable warning and alarm buzzers. 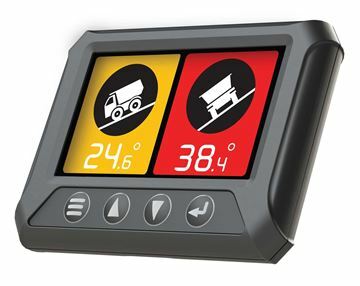 The Hummingbird Active Dual Axis Inclinometer including RF 1 degree sensor is a full colour inclinometer offering visible pitch and roll readout for operators with out the need to run costly wiring and too features configurable warning and alarm buzzers. 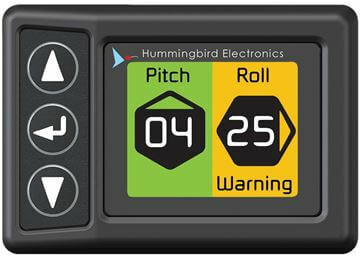 The Hummingbird Elite Dual Axis Inclinometer including 1 degree standard sensor is a visible pitch and roll readout for operators. The Elite includes data logging. The Hummingbird Elite Dual Axis Inclinometer including 0.1 degree standard sensor is a visible pitch and roll readout for operators. The Elite includes data logging. 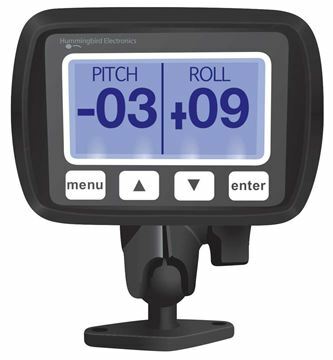 The Hummingbird Elite Dual Axis Inclinometer including RF sensor is a visible pitch and roll readout for operators. The Elite includes data logging. The Hummingbird Dual Axis Inclinometer including 1 degree standard sensor provides accurate incline measurement and display readouts.